Breakfast and dinner were good and plenty of options. Having a bar, restaurant, and a pool on site was great. Staff were very pleasant and helpful. Newly renovated and excellent matress to sleep in. Entertainers great. Great Atmosphere. Good buffet breakfast. Close to town and beaches. Unfortunately it rained every day we were there so didn't get use of the pool but it looked nice! We like the complex, very friendly staff. Having stayed there twice we have no complaints and will return in the future. Ideal for an extended family break with grandparents, 2 sets of married children, a 3 year old and 2 x 4 month babies. Had three apartments all next door to each other. All apartments surround the pool. 10 mins walk to beach. Very good cuisine in the restaurant and great breakfasts in the snack bar. Bar prices reasonable. Good children’s entertainment. 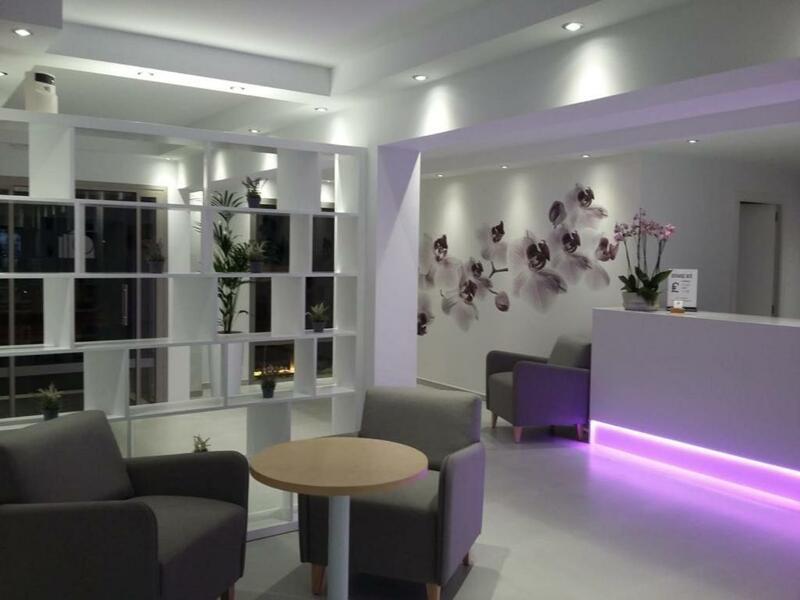 Comfortable beds and refurbished ensuite. Basic furnishing but good value for the cost. Good pool area, friendly staff and the bathroom was great. 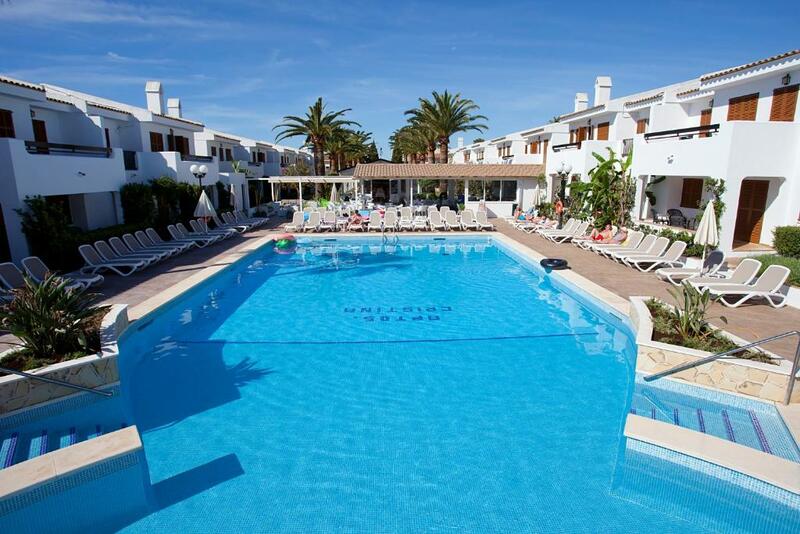 Lovely staff, reasonably priced meals, lovely pool, the children loved the cats and play area. Walking distance to beach. Lovely Italian restaurant nearby recommended by hotel. 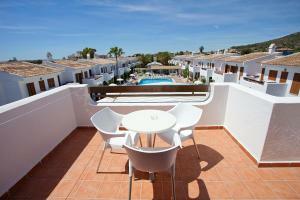 Lock in a great price for Apartamentos Cristina – rated 8 by recent guests! One of our top picks in Cala Millor.Located 2,300 feet from Cala Millor Beach, this resort features an outdoor swimming pool and large terraces. 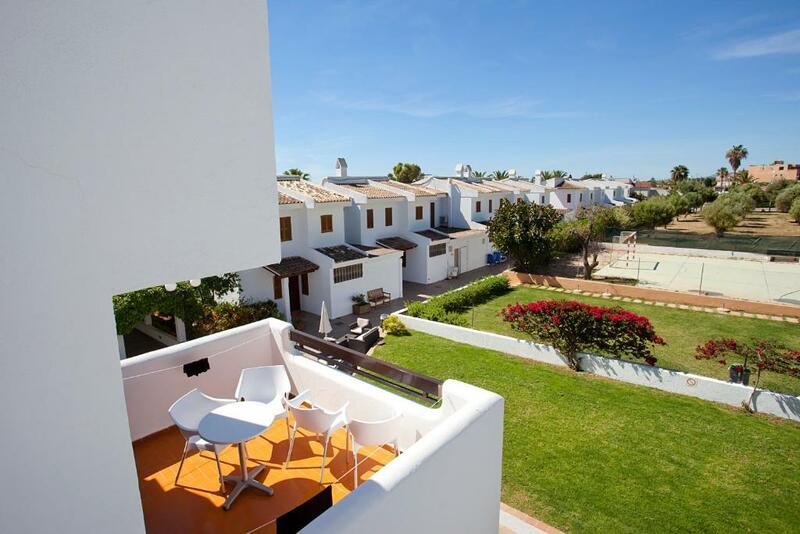 Apartamentos Cristina offers air-conditioned apartments with views of the pool or the gardens. Common areas at the Cristina include a games room and a snack bar. 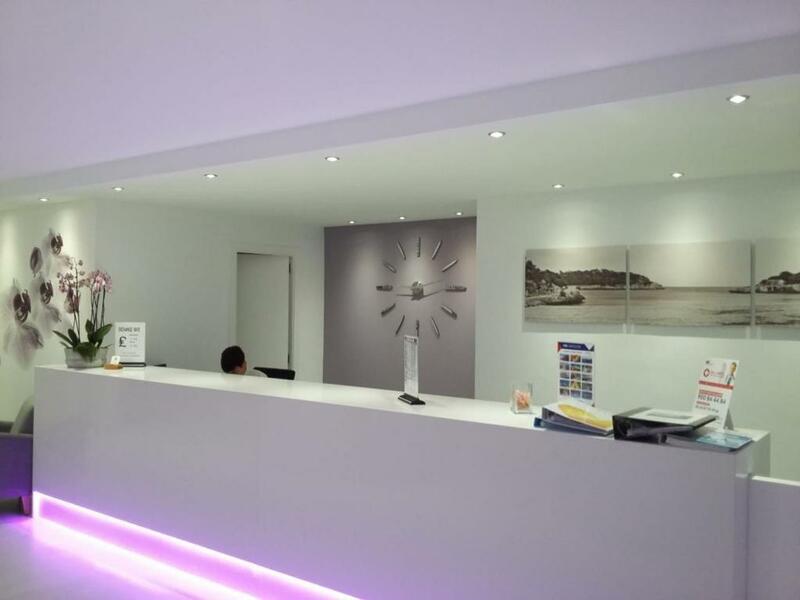 There is also a restaurant that serves á la carte dinners and a 24-hour front desk. Each apartment features simple décor, and comes with a lounge with sofas and TV, a well-equipped kitchen and a balcony or a terrace. There is an onsite supermarket, and bed linen and towels are included. Staff at Apartamentos Cristina offer many entertainment programs for children and adults, like sports, music shows and games. Palma de Mallorca Airport is 43 mi away. 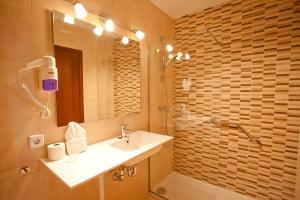 When would you like to stay at Apartamentos Cristina? This bright, air-conditioned apartment features 1 bedroom, a lounge with TV and a well-equipped kitchen with fridge and microwave. There is a private bathroom and a balcony or terrace with views of the gardens or the pool. Bed linen and towels are included, and there is a safe available for hire. This air-conditioned apartment features 1 bedroom, a lounge with TV and a well-equipped kitchen with fridge and microwave. There is a private bathroom and a balcony or terrace with views of the gardens or the pool. Bed linen and towels are included, and there is a safe available for hire. This air-conditioned apartment features 2 bedrooms, a lounge with TV and a well-equipped kitchen with fridge and microwave. 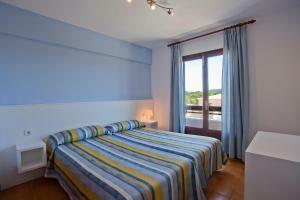 There is a private bathroom and a balcony or terrace with views of the gardens or the pool. Bed linen and towels are included, and there is a safe available for hire. House Rules Apartamentos Cristina takes special requests – add in the next step! Apartamentos Cristina accepts these cards and reserves the right to temporarily hold an amount prior to arrival. 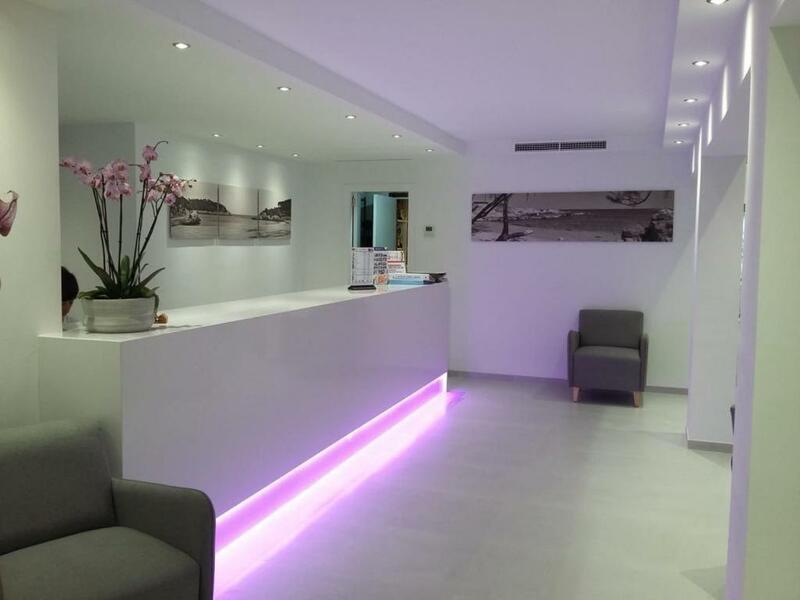 There are 2 computers in reception, available for guest use for an extra charge. Please inform Apartamentos Cristina of your expected arrival time in advance. You can use the Special Requests box when booking, or contact the property directly using the contact details in your confirmation. When closing the exterior and entry doors to our unit, they banged loudly, not only in our unit but also when another occupant upstairs was entering or leaving. The bathroom did not have a hook to hang up a robe, etc. No hangers were in the closet. No sponge or dish cloth in the kitchen or soap to wash a dish. No instructions in the unit about accessing a remote, nor did the front desk initially advise when checking in about procedure to get one. Kleenex would have been welcomed. No laundry facilities on site or in the city. Was advised we would have to pay to have the laundry sent out and returned in a day ir teo. Wi-Fi access was terrible as it was weak and limited to certain areas - not available in our room. This was a problem for us trying to communicate for our business. Just some constructive feedback on what was found to be challenging. To be honest we got what we paid for but I'm afraid the sickly hungry cats that inhabited the hotel were unacceptable. They used the garden next to our veranda as their toilet and were always begging for food and trying to get in to our apartment. The pool tables were both unplayable, the balls had holes in them and the hotel entertainment was poor. Upon walking in to the bar on the first night we were welcomed by a woman throwing up in the shrubbery and another was so drunk she struggled to walk out of the bar. They had no respect for parents who don't want their children to experience that sort of behaviour. Wont be going there again. If the 4.6 is out of 5 that's overrated. I'd give a score of 2 out of 5. Compact campus, clean, and for the money was value. Only 10 min walk to centre of resort and all the facilities. Lovely beach. The cats, they were everywhere and it stunk of cat poop. Beds only got changed once whilst we were there and didn’t clean the apartment. We wanted a double room and we had 2 single beds pushed together. The air con was in the front room and not the bed room so was hot when you was sleeping. there's too much cats at the apartments, they are lying on the sunbeds, next to the pool, at the bar, everywhere. Its not allowed to use the swimming pool after 6pm. Comfortable and clean, staff is friendly. There was nothing really to dislike about it. Not sure about the many cats and kittens around a lot of people may object . Everything was to our satsifaction at the hotel .